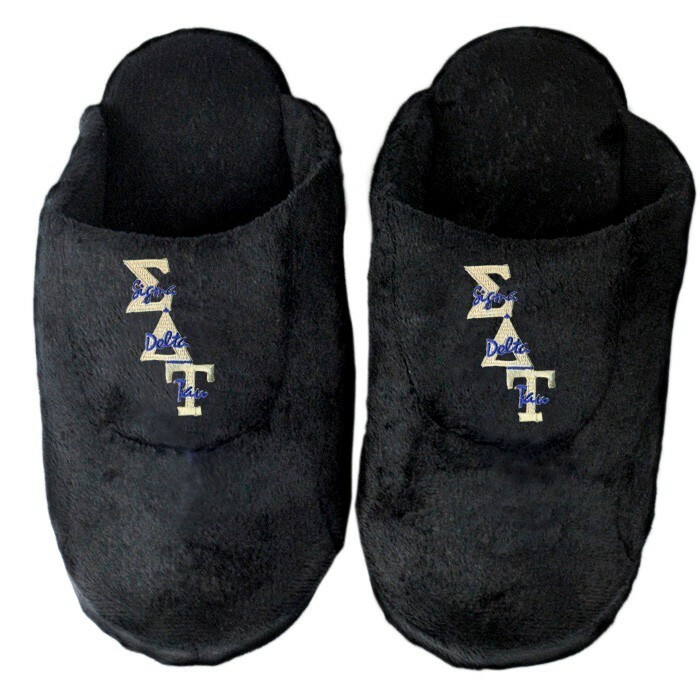 Sigma Delta Tau Black Solid Letter Slipper. Our Greek Slippers are a great new item for lounging around the dorm. These Greek slippers are so comfortable it literally feels like you are walking on memory foam. These new solids are sure to be a hit.